It will produce enjoyable usage to you and to your friends at private scene. And in public scene, you can express your art to many people. For professional usage, it can be used for the illustration and art work production it might expand your expression. The usage of Masking Color depends on user development. It will promote various usage. More tasteful expression at various scenes. Please make it enjoyable communication tool. Send your message with Masking Color to your important friends. Special communication tool, remains your message after peeling off. Just put some playful mood in your daily goods, tools. 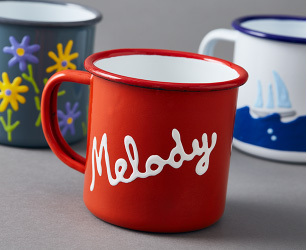 How is about to write of your near materials, tableware or mug with Masking Color? 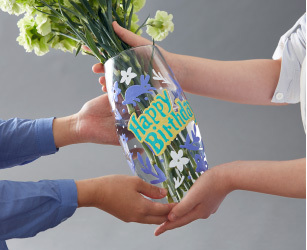 They will show more cheerful expression in your daily life. 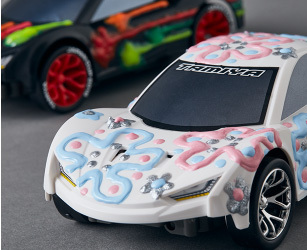 For your favorite goods, like as your fanatic toy car and paint it with Masking Color. New original your special private machine will arrive. 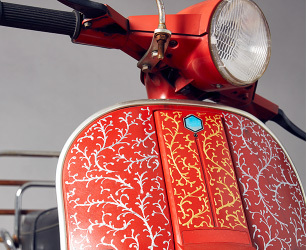 Decorate your car and motorbike. Try to challenge the decoration of your cars with your playful mind. No worry about the changes it will get back to origin by easy peeling off. 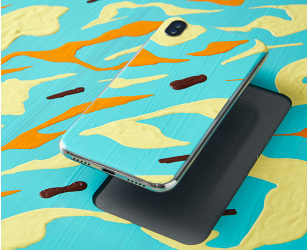 It is water resistance after dry. And it will not peel off naturally by wind during driving. Re-stick material will occasionally peel off during the driving. Please be careful. Draw, dry, peel off and stick again. Let’s use the special character of Masking Color more cheerfully, peel off and stick it again. 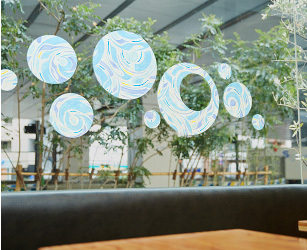 We recommend you draw at easy place and stick it on your favorite material and favorite place after dry. Draw one-point small sign and stick. Small drawing with Masking Color like as small toys, you can stick them on windows and mirrors. Let’s create enjoyable scene with Masking Color. 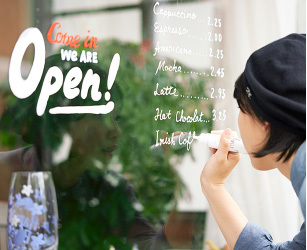 Create window sign cheerfully and pleasantly. 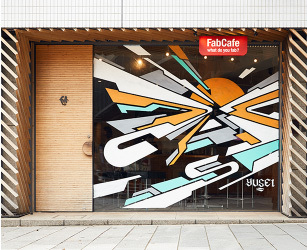 You can make window sign. Nothing to worry for mistake in writing, Masking Color can make re-drawing easily. It can be made better by sticking again for the repositioning. Of course, it is so easy for the restoration. 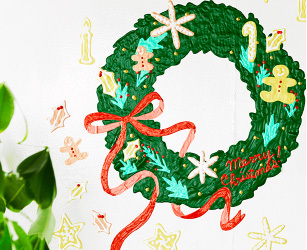 If you want to enjoy Christmas mood plentifully, how is about staging effect with Masking Color. Cut out one part from your work. If you are favorite in drawing, Masking Color will support your drawing make it to your independent sign by cutting out one part from big drawing. Your cut out work will appeal on your smart phone as you like. One work from big work. One big you drew work will make smaller several independent works. Masking Color can make such an adventurous expression by peel off and stick again technics. You will find inexperienced expression. Large scale work on plate-glass window. Masking Color will provide you for large scale work chances in the event and the places beyond your expectation. You can produce attractive expression in your work. Of course, it is so easy to restore it.